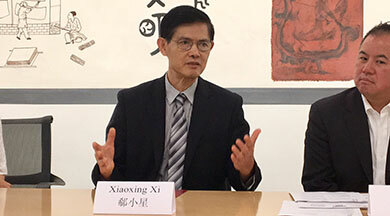 Prof Xi speaks at a press conference held at CAA on October 18, 2017. 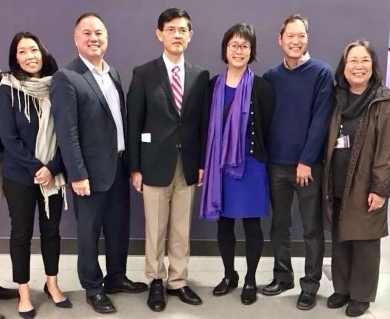 In early October, CAA joined Chinese Progressive Association, Asian Americans Advancing Justice – Asian Law Caucus and notable community leaders Henry Der, Ling-chi Wang, and Helen Zia to form the End National Security Scapegoating (ENSS) coalition. The coalition was established in response to pervasive efforts by the U.S. Department of Justice that target and prosecute Chinese American individuals for espionage related crimes.